The visionary Sun Aqua brand is delighted to announce the opening of its second property, the Sun Aqua Vilu Reef, a stunningly refurbished resort found on the beautiful bite-sized gem of Meedhuffushi Island in the heart of the South Nilandhe Atoll. The property is the second addition to the group after the Sun Aqua Pasikudah which opened earlier in 2015 on Sri Lanka’s North East coast. Originally opened in 1998 Vilu Reef is proud to take on new colours and sit as the flagship Maldivian property for the Sun Aqua brand which plans to continue its international growth over the coming years. At Sun Aqua resorts, guests can enjoy perfectly relaxing experiences led by simple luxuries, sensational food and warm, dedicated service and as it stayed open to guests during its refurbishment it continues to welcome new and repeater guests that have grown to love the property and island, year after year. On 28th October 2015, the original date of opening in 1998, the property officially re-launched to a fanfare of celebration with official ceremonies followed by a beachside feast, dancing and live music held throughout the evening. 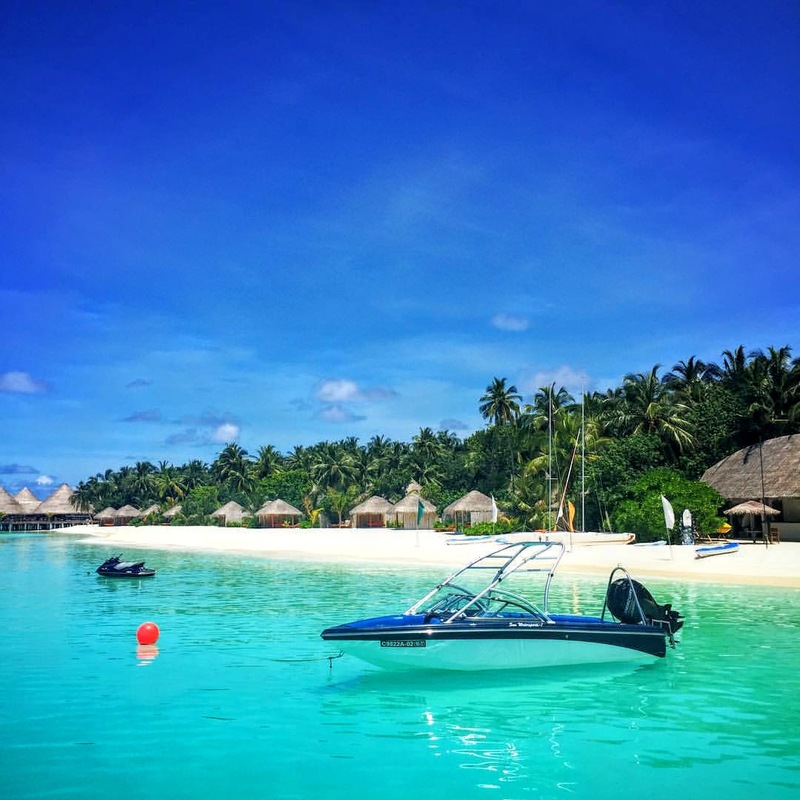 The Sun Aqua Vilu Reef is easily accessible from Malé and the International Airport via a 40 minute seaplane ride. The Sun Siyam Family Lounge at the seaplane terminal bids an immediate start to the holiday offering refreshments and massages to help settle guests into the Sun Aqua spirit. The property has gone through a complete revival and been refurbished to an extremely high standard creating five different categories of rooms including 15 NEW Sun Aqua Pool Villas. Splashes of colour can be found throughout the property impressing the Sun Aqua brand into the new future of Vilu Reef. Hidden amongst the foliage are 62 shell shaped bungalows, (14 Beach Villas, 18 Deluxe Beach Villas and 10 Jacuzzi Deluxe Beach Villas, 5 Deluxe Beach Villas with Pool & 15 Sun Aqua Pool Villas) some now with lava-stone pools and whirlpool bathtubs. Rooms are now all 20% larger than before and offer private sundecks, re-fitted bathrooms and day swing beds. 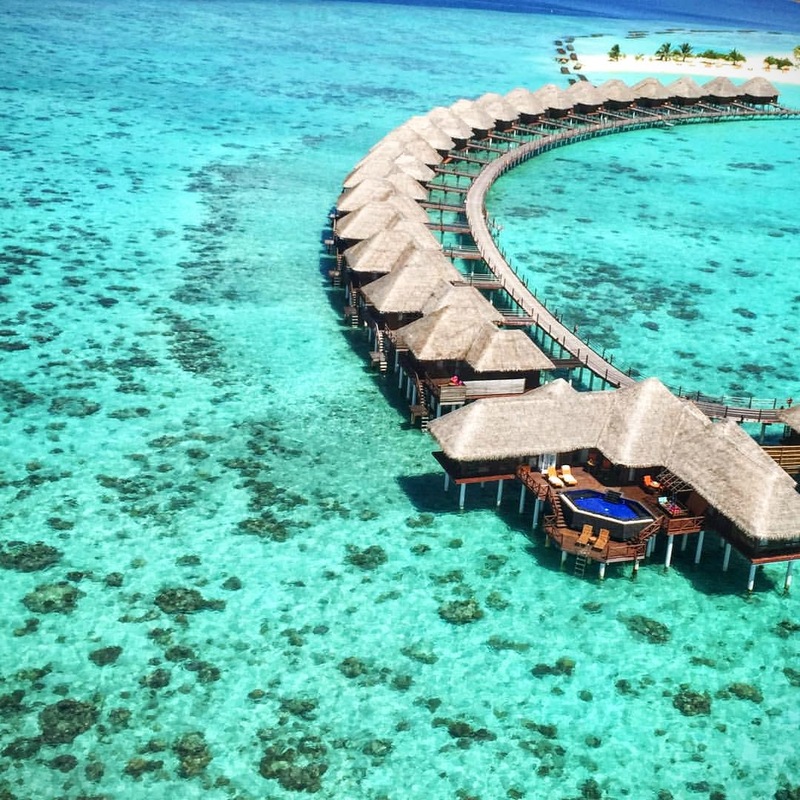 A further 41 Water Villas (20 Reef Villas, 9 Sunset Reef Villas, 6 Aqua Villas with plunge pools, 5 Aqua Suites now with private swimming pools & 1 Grand Reef Suite) complete the accommodation offering with a select few even hiding inviting over-water hammocks. 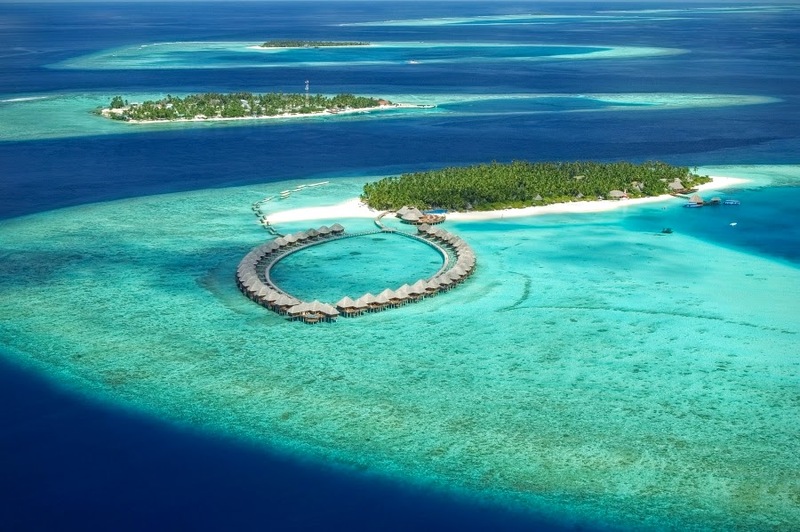 All water villas offer incredible vista views across the Indian Ocean and a true Maldivian experience. One of the best parts of any journey is the adventure into exotic flavours. Guests can be selective at Sun Aqua Vilu Reef and explore the spice and warmth of home style Maldivian cuisine, feast on gourmet organic and free-range produce grown on the resorts private Farm Island, sink their teeth into freshly caught, barbequed seafood or dine under the stars with the properties destination private dining experience. The Aqua is the resorts main restaurant sat over the water, producing freshly prepared western and international cuisine served in a buffet style and is also the resorts beautiful breakfast spot. The Well Done, the island BBQ grill on the beach serves freshly caught fish and seafood as well as being the home to the islands impressive glass enclosed wine cellar, featuring the finest wines from around the globe, creating a sophisticated backdrop for any evening. The resort also features a boutique pizzeria creating handmade pizzas topped with authentic seasoning and fresh ingredients. Destination Dining offers guests the chance to dine in private away from other guests on any spot on the island accompanied by their own private chef and waiter. Before and after dinner guests may enjoy the chance to visit one of the island’s two bars. The Nautilus is the resorts beach bar offering a cool, rustic hideaway where one of the bartender’s cocktail’s will help liven up a night of dancing or an exhilarating game of crab racing. Positive Energy, set beside the pool serves an array of refreshing juices, cocktails and signature tropical fruit punch either under the cool of the coconut tree or on a lounger with views of the lagoon and pool. One of the biggest developments at the resort has been the creation of a full holistic spa offering. Now a major focus of the resort the Sun Aqua Spa consists of six private treatment pavilions each with open air flower baths, open showers, a hydrotherapy area and double treatment beds. On offer will also be a salon, manicure/pedicure and a beautiful relaxation area. Encompassing the Five Element Theory; Wood, Fire, Metal, Earth & Water the spa will offer a lengthy menu of Ayurvedic wellness rituals, pampering beauty therapies and massage techniques from around the world. It will also offer a selection of signature therapies to help renew body and mind including a rich scrub of coconut or coffee, a herbal Udavarthanam detox or a relaxing, fragrant flower bath. In addition to spa the Sun Aqua Vilu Reef also offers plenty of leisure activities to keep everyone entertained, relaxed and enjoying their time on the island. Diving is a big part of the culture in the Maldives in general and at Sun Aqua Vilu Reef in particular. The 5* Gold Palm PADI / SSI Diamond Dive centre brings together an exciting array of diving and snorkelling programmes and a chance to explore the sea life and reefs that litter the warm and extremely clear waters. The property hosts one of the best house reefs in the region, located just 30 meters from the shore, offering snorkelers an unrivalled experience. Watersports are also a big part of island life and guests at Sun Aqua Vilu Reef can enjoy windsurfing, canoeing and sailing as well as a range of motorised watersports such as jetskis and water-skiing.